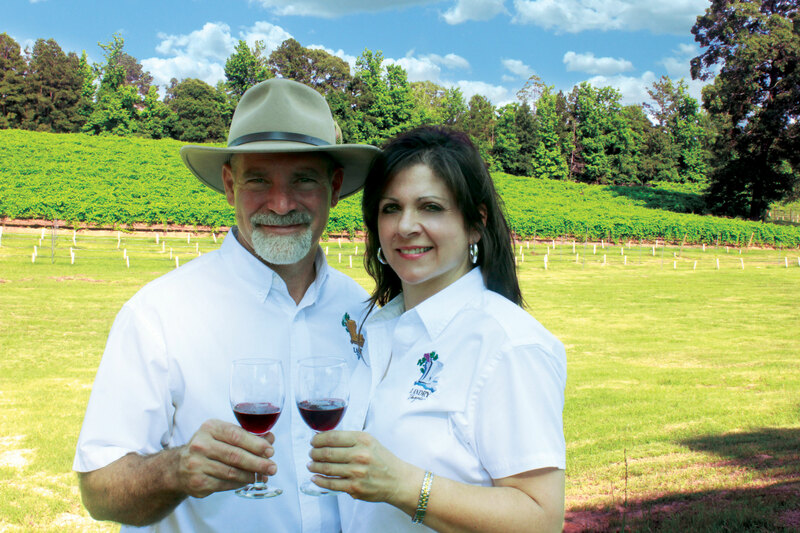 In the seemingly quiet hills of West Monroe, you’ll find a local vineyard owned and operated by the Landry family. Landry Vineyards is one of the youngest attractions in Ouachita Parish, yet when on the grounds, you feel like it must have been here a while. Maybe it’s the energy and passion that the Landry’s bring their business that make you feel like they must have been growing grapes here forever. In the spring and fall, you can spend the afternoon, enjoying live music, people dancing and fun during their popular outdoor concerts. 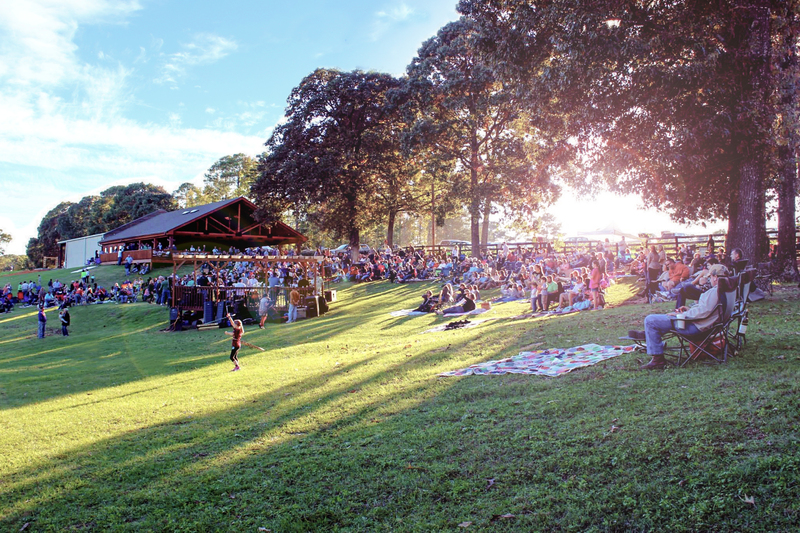 Friends and families gather on the hillside to enjoy the music of bands of all different genres like Zydeco, Blues, Classic Rock, and Country to name a few. Perhaps their most popular events are the Harvest Celebrations held each July and August. 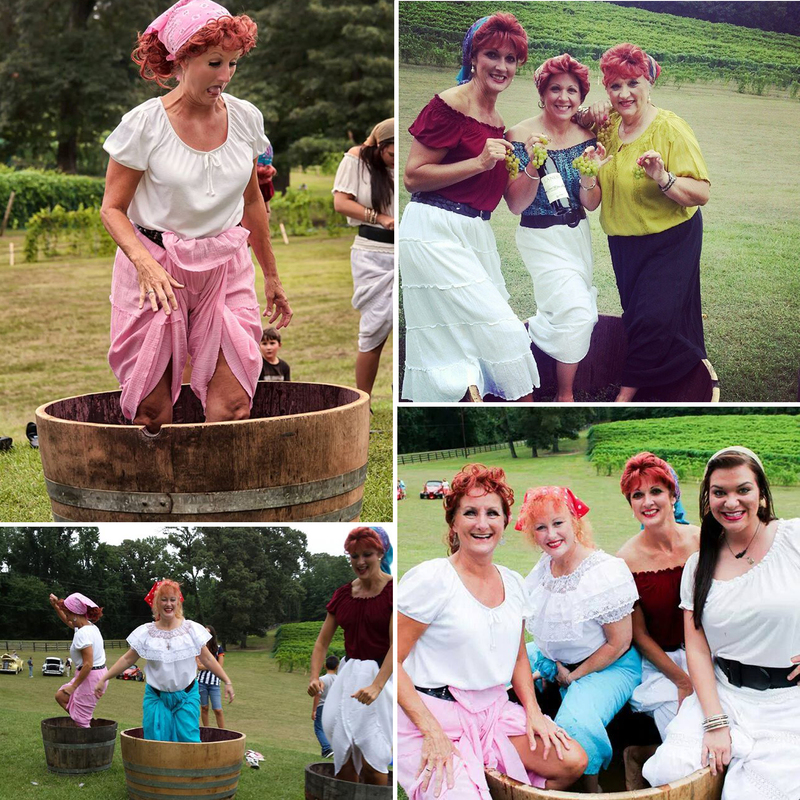 July’s Blanc Du Bois Harvest Celebration offered visitors the chance to stomp some grapes, an activity that many have never experienced. The Landry’s added even more to this year’s event with a Lucy Look-a-Like contest. And as promised, this proved to be a fun addition. Coming up on August 16, the Landry’s will host the Red Grape Harvest Festival and will again invite guest to capture the essence of Lucy in a Look-a-Like contest. Easy Eddie and the Party Rockers, a local group known for their Classic Rock sound, will be playing the music that will get visitors stomping…in the grapes. The Red Grape Harvest begins at 4:30 p.m. Tickets are $7 for adults and children under the age of 12 are free. Guests are welcome to bring a picnic, but keep in mind that Libby always has something tasty for purchase such as red beans and rice, jambalaya, or boudin. No pets, outside alcohol, or fire pits are allowed. The tasting room is open for tastings every Saturday 11:00 am-5:30pm. Just give them a call to drop in for a tasting Monday-Friday. Tours of the vineyard can be made by appointment and are subject to availability. 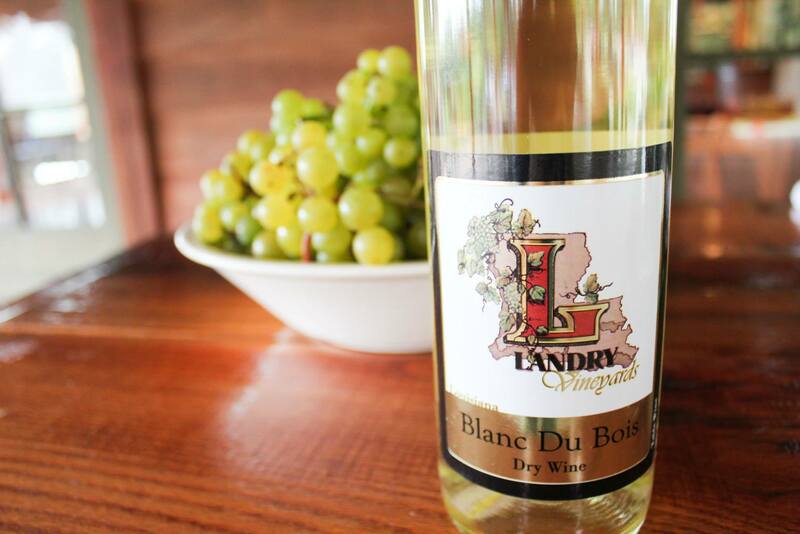 Landry Vineyards is located at 5699 New Natchitoches in West Monroe. Visit their website or call (318) 557-9050 for more information. With summer heating up the thoughts of Iced Sweet Tea came across the minds at The Spice & Tea Exchange of West Monroe. And what better way to enjoy Sweet Tea than with the natural sweetness of Fresh Berries! 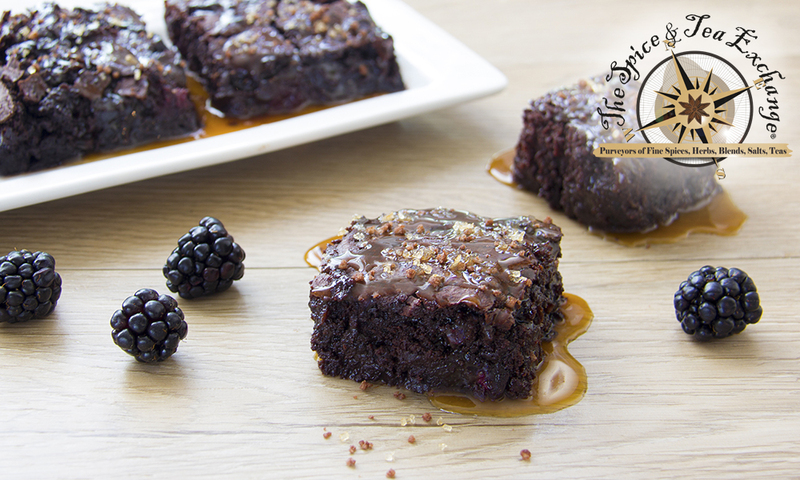 Our Fresh Berries Tea Talk and Tasting on Sunday July 5th explores teas and taste from our Berry White, Blueberry Black and Berry Bouquet Teas to our Blackberry Salted Caramel Brownies! 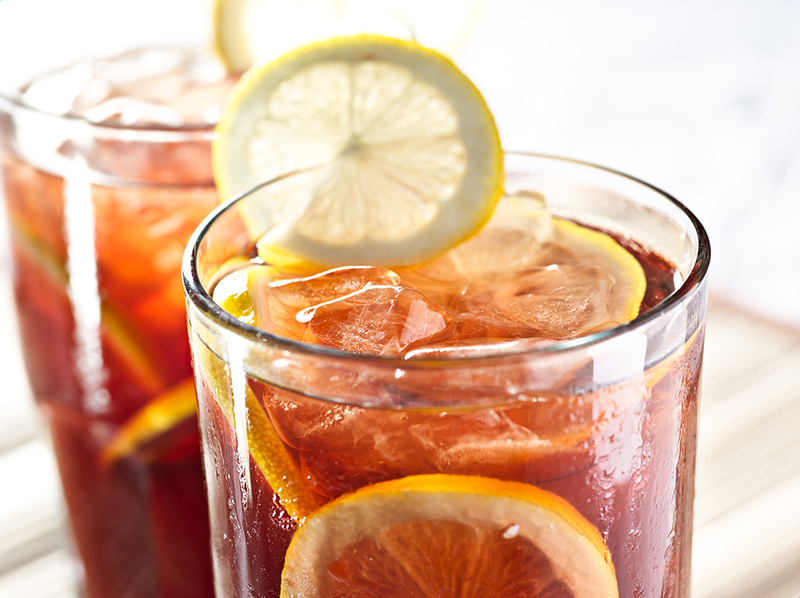 So where did the concept of drinking iced tea originate? Well in 1893 an Englishman was running a tea stand at Chicago’s Columbian Exposition. The heat wave caused fair goers to be uninterested in his hot tea. Needing to recover his cost he decided to pour the tea over ice cubes. 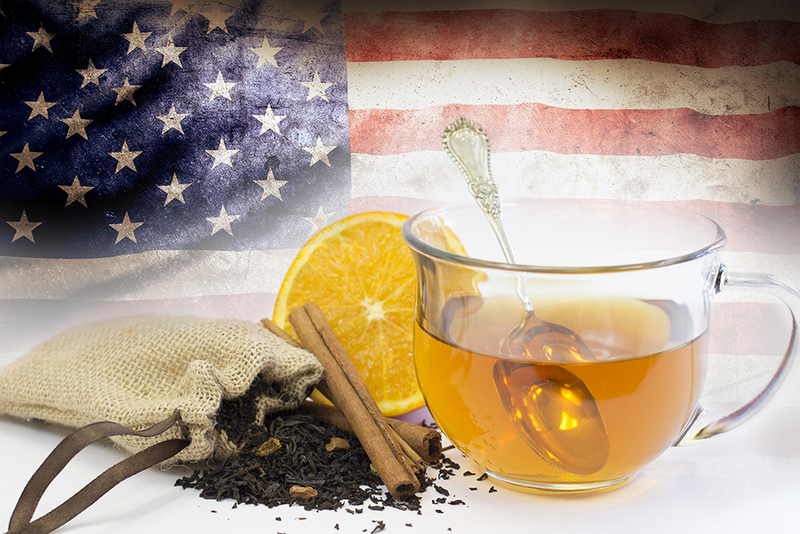 The Americans loved it, and it’s the way a majority of Americans enjoy tea today! Our classes, held on the First Sunday of each Month, explore the many ways to brew your tea. Along with our monthly featured recipes on the tasting menu, it’s a delightful way to spend your afternoon. This month’s topics include Cold Brew and Flash Chill. 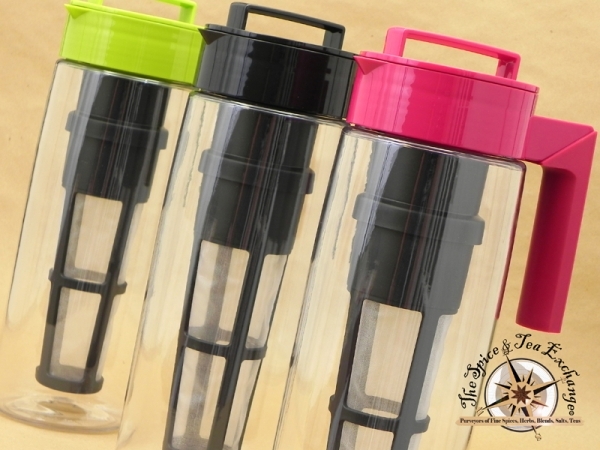 Cold brewing is a slower and gentler process yielding a smoother, naturally sweeter tasting tea. In a hurry, Flash Chill in minutes for a perfect picture of tea! Adding fresh fruit flavor to your tea is as simple as cutting up some fruit and adding it to your water you are using to cold brew your tea or try freezing and adding as ice to your Flash Chill. The only factor here is to make sure you are using the ripest fruit available for your infusion. Choosing complimentary fruit is the easiest way to start. 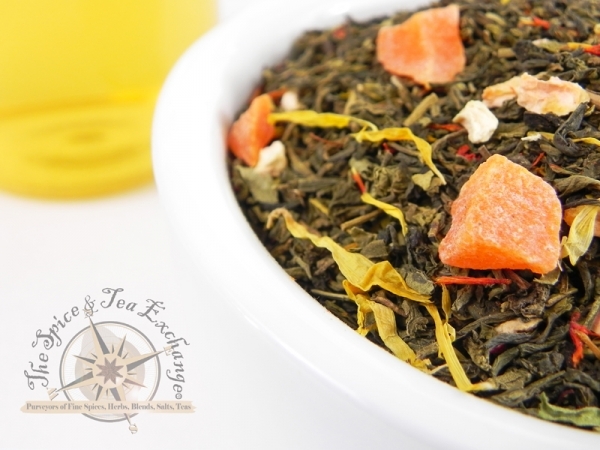 For those more adventurous try contrasting fruits, an example would be to use apple or pears in the Mango Green Tea and what happens is that the mango mellows out and you get more green tea flavor. Use the Taste and Smell Test to see what combinations work best. 80% of what we taste is actually smell, so the best way to preview the infusion is put a piece of fruit in your mouth and start to chew, now this is a good time to chew with your mouth open and smell the loose tea you want to infuse. If the taste and smells feel right to you then you have a winning combination. Find Your Way to Flavor! at The Spice & Tea Exchange of West Monroe, 211 Trenton Street, West Monroe. Visit their website or call (318) 323-3920.